The Colbert County Drug Task Force has been in existence for over 27 years. The Task Force is composed of a Coordinator, Captain Curtis Burns; two agents, Agent Troy Seal and Agent Bradley Skipworth who also serves as K9 officer for Colbert County Sheriff's Office. The task force has a Board of Directors that consists of the District Attorney – director; the Sheriff – Assistant Director; and the Chiefs of Police from the six local police departments within our county. 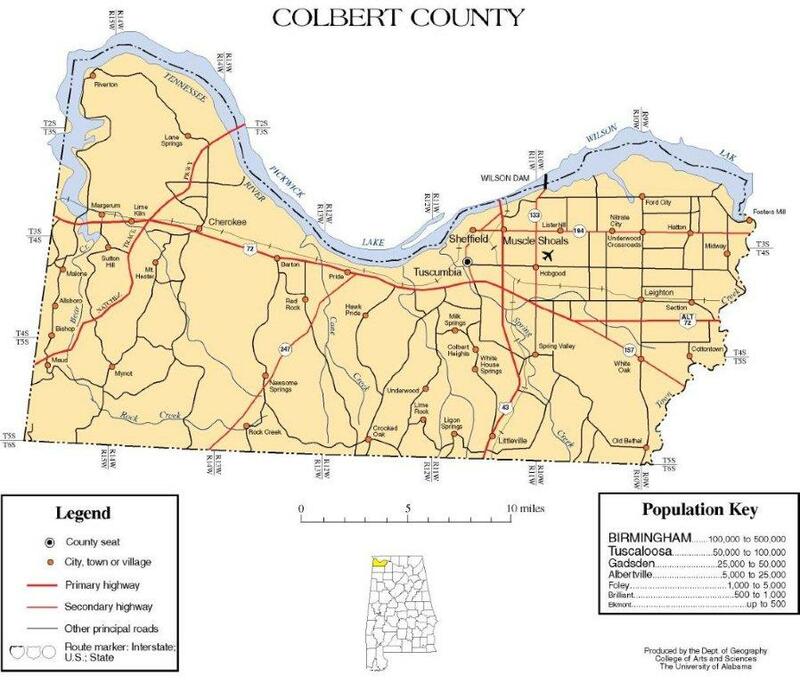 The task force agents work all of Colbert County (600 square miles) which includes the cities of Muscle Shoals, Sheffield, Tuscumbia, Cherokee, Leighton, and Littleville. The Task Force agents work closely with other law enforcement agencies concerning drug activity and any other criminal activity. The Task Force has been involved in many high profile drug cases with federal, state, and local law enforcement agencies. Some of these cases have resulted in the seizure of kilos of cocaine, pounds of marijuana, pounds of ice/methamphetamine and numerous prescription drugs. The Task Force also takes part in marijuana eradications with state agencies where hundreds of marijuana plants have been located and destroyed. The Colbert County Drug Task Force also is involved in several community related/educational programs throughout the area. Task Force agents have spoken to many schools, churches, and civic organization, as well as many other groups that have been interested in learning about current drug trends and the dangers of drugs. With the increase and production of methamphetamine, the task force does a great deal of training and classes concerning the dangers of meth labs. "Drugs Destroy Lives & Dreams"